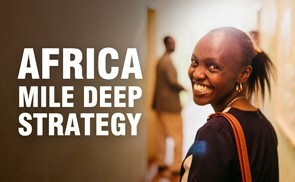 The Africa Mile Deep Strategy aims to greatly enhance Anglican theological institutions in Africa. We hope that this video provides an introduction to our vision. OCA supports men and women who preach and teach the redeeming love of Jesus. Our sponsored students minister to widows and orphans, seek justice for their communities and become leaders in their nations. By giving through OCA you can be confident that your funds will go towards growing God’s church and impacting each society, not just this year, but in the decades ahead as competent leaders are trained for their ministry in their own country. Leadership training is one of the most pressing tasks for Western Christians who are engaged with a global church. 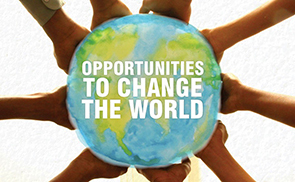 Since 1987, Overseas Council Australia has contributed $5.7 million to support 2,686 students in ministry training. 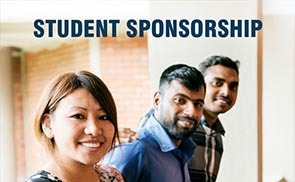 Overseas Council Australia supports theological colleges which are evangelical in theology and have a record of financial accountability and good governance. Overseas Council Australia works with theological colleges and other strategic leadership development programs in twenty five countries. "We believe in an emerging generation of Christian leaders whose lives demonstrate vision, integrity and competence. It is these men and women who preach and teach the redeeming gospel of Jesus Christ, minister to widows and orphans, seek justice in and through public institutions, lead their nations through the debilitating morass of corruption, and in a thousand other ways take God’s truth into the public arena."